Below are a few samples of testimonials shared by our patients, in their own words, about their experience with chiropractic. If you would like to share your story to inspire others, this form may help you focus your thoughts, or feel free to put it in your own words and we will only share it with your permission on this form. You may bring your story by the office or email it to [email protected] . Thank you for sharing. We value our patients' experience at Commerce Chiropractic. 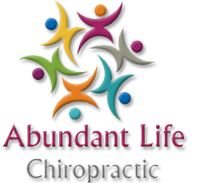 If you are currently a chiropractic patient, please feel free to complete the following Client Experience Questionnaire. The Questionnaire is in Adobe Acrobat format, and requires the free Acrobat Reader to view.